Health Costs > How Much Does Miracle-Ear Cost? How Much Does Miracle-Ear Cost? Claimed to be an industry leader, as per its “history” subpage, the company, with more than 70 years of experience now has more than 1,400+ franchised and corporate-owned retailer locations. How much does the Miracle-Ear hearing cost? Glancing at the official website of Miracle-Ear, the company doesn’t specify the exact prices; rather they note the average costs of a hearing aid on the market can cost anywhere from $1,000 to $4,000, but remember, this is the cost range of the average hearing aid on the market, not the Miracle-Ear branded hearing aids. The costs of the Miracle-Ear, based on our research, greatly depends on your specific hearing needs, the type of hearing aid you want to buy as the company offers a few products (noted below) and the location you choose since each location is either corporate or franchised owned. Based on these factors and our third-party research, we found the average costs could range anywhere from $3,000 to $8,000+. Does insurance cover Miracle-Ear hearing aids? Almost all private insurance companies, including Medicare and Medicaid, will not cover hearing aids; however, many policies will cover hearing tests for specific purposes. While some plans may offer limited benefits, it’s best to check out your plan’s policy and talk directly with your insurance company to know your limitations. By chance, if your insurance company does cover the hearing aid, then most plans offer about $1,000 in coverage, but again, this may vary depending on your plan. Do keep in mind, however, that some states do mandate that insurance companies cover hearing aids for children. Discounts, according to RetirementLiving.com, are available, such as the Miracle-Ear Foundation, which is designed to help provide hearing aids for those who are struggling financially. For more information on this foundation, you can visit the company’s official website to see if you qualify. Hearing aids on the market, in general, consists of three simple parts: an amplifier, the microphone, and a speaker/receiver. The microphone is able to draw in the sounds, where the amplify makes the sound louder, eventually sending it to the speaker inside of your ear canal to create a louder sound. While these are the basics, this is where Miracle-Ear’s technology is different based on the description we read on the company’s website. The GENIUS™ 3 technology, for instance, offers a 100% rechargeable hearing aid which eliminates the hassle of replacing the batteries as well as seamless connectivity via your favorite devices, such as your smartphone, television, computer, GPS and remote control, to name a few. The company notes the GENIUS™ technology offers 60% more processing power, offering realistic sound quality to help you hear in all situations, even in noisy environments. The Miracle-Ear product line includes several options, including behind-the-ear (BTE) and receiver-in-the-ear (RIC), all of which have a similar look, where a small battery pack is worn behind the ear, with a wire attached to the smaller receiver that sits inside of your ear canal. The company can also create a custom-fit style, such as the completely-in-the-canal (CIC), which is a design that’s able to fit inside of the ear canal but doesn’t have an external pack behind the ear. Another option, the in-the-ear (ITE) hearing aid option also fits inside of the ear canal but will not be inserted as deep as the other products. 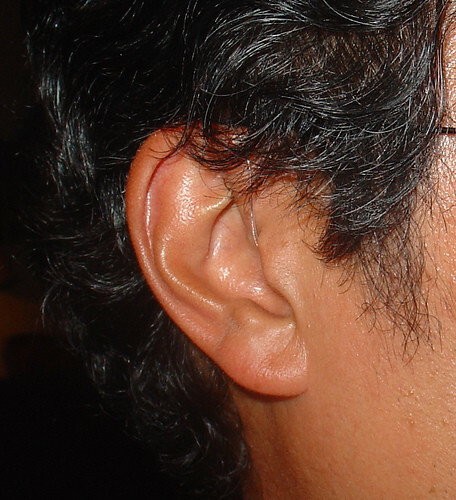 Lastly, the invisible-in-canal (IIC) hearing aids are designed in a way to be as invisible as possible when worn. 100% rechargeable hearing aid and is considered to be the company’s first-ever built-in power cell to help eliminate the need for batteries. One charge offers up to to 24 hours of use. The company claims that this model is one of the smallest solutions with the most natural sound quality, according to the company. Customers have the option to choose from either 13 or 312 size batteries as well as eight color options and two case designs. Like most of the products, it can be controlled through the company’s app. Offers the ability to adjust to your voice, the sounds surrounding you and help provide the most natural voice to help you better understand noise. Other options include Bluetooth-based direct streaming and the MEcontrol app. The company claims that this model is the tiniest and most discreet receiver-in-canal solution, allowing you to benefit from the remote control function and controls via the company’s GENIUScontrol app. Features include speech isolation for easier listening and a wireless windscreen to help reduce noise when outdoors. Designed for those who are looking for comfortable on-the-spot solutions without sacrificing any quality. Considered to be one of the tiniest hearing aids, almost nearly invisible while worn. Nearly invisible, this option provides the company’s advanced features. As noted, customized to specifically fit inside of your ear, offering you the ability to choose between either CIC, ITC or ITE options. NOTE: Read more about the company’s product options via the official website. On the majority of the company’s hearing aids, Miracle-Ear offers a limited three-year warranty, but for more information, it’s best to talk with a representative during your purchase to understand what is and isn’t covered at the time of purchase. The company, aside from the warranty, also offers free lifetime services for its hearing aids, including free programming, free quarterly check-ups, and free annual hearing tests to re-adjust and clean your hearing. You can only receive a Miracle-Ear hearing aid directly through a franchised or corporate-owned store and is not available via your doctor. To find a location and book an appointment near you, use the official search tool on the company’s website. To know if you’re a candidate for the hearing aid, the company will ask that you come into a nearby location for a free hearing test evaluation to help determine if the hearing aids work for your particular circumstances. During this test, they will ask about your health history, inspect your ear canal and evaluate your hearing ability. If determined you could benefit from one, then you will be presented with a variety of model options to choose from.